Following the release of 2015’s The Hateful Eight, Quentin Tarantino got a certain amount of backlash for the film’s portrayal of violence against women, or in this case, woman. Throughout the film, Jennifer Jason Leigh’s foul-mouthed Daisy Domergue is repeatedly brutalized and beaten by the male characters to such a degree that it’s sometimes played for laughs. But anyone familiar with the director’s work could tell you that his use of blood-splattering violence is rarely limited to gender, and, in fact, Hateful Eight’s third act sees plenty of violence being dolled out to Leigh’s male counterparts. 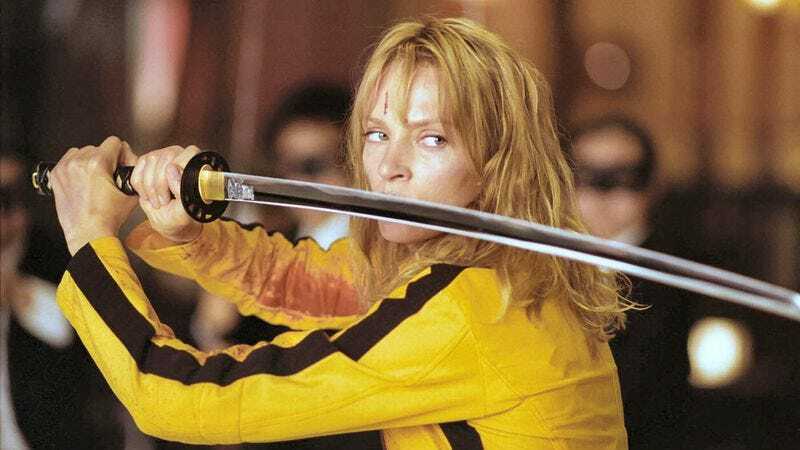 In a new video essay, Fandor explores the idea of Tarantino being classified as a feminist filmmaker due to his egalitarian approach to violence, heroism, and power. Of course, not all would agree that an evenhanded approach across the board is always the best thing. Like all art in this world, Tarantino’s films exist in the context of our culture, and in that context violence against women means something different than violence against men. The fact that Daisy Domerque is a woman and not another grizzled outlaw cowboy makes the audience feel differently about her and her brutalizers. One would assume that’s intentional on Tarantino’s part.